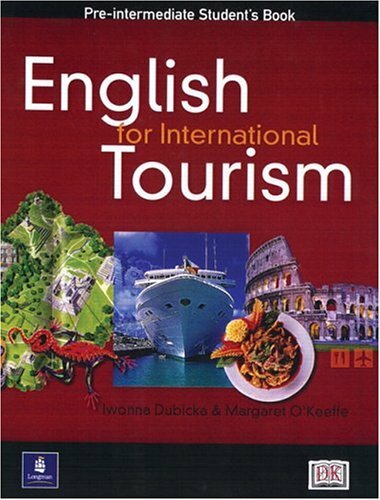 Iwonna Dubicka, Margaret O'Keeffe, "English for International Tourism: Low-Intermediate (Course Book)"
English for International Tourism is a language course designed to cater for learners studying for vocational qualifications in the travel trade and for working professionals undertaking in-service language training. 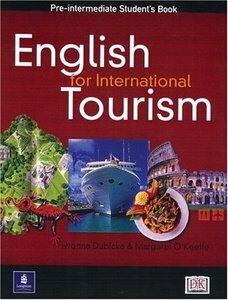 The course deals with the language of tourism from an insider's occupational perspective rather than of the individual traveller. However, neither teacher nor student needs first hand knowledge of the industry because, it is not technical or over-specialised in nature.